When I was a kid, the department stores in Canada used to put out elaborate store window displays. 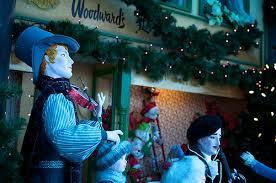 Animated elves and reindeer, trains packed with toys, and merchandise set ‘just-so’ that you were compelled to step inside. 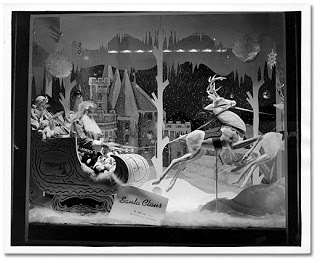 Woodward’s – a department store headquartered in Vancouver – even had direct “phone lines” to Santa, Mrs. Claus and Rudolph! As part of the Christmas display, this was 1970s interactive – pick up the phone and Santa would speak to you. When you’re 8 or 10 years old, it’s truly magical. Sadly, Woodward’s and Eaton’s – two famed Canadian department stores – are no longer in existence. Most stores in western Canada have abandoned these elaborate (and likely costly) displays in favour of boring mannequins decked out in party attire. Ho hum. It’s the same stuff you can see at any time of the year. Store windows do more than display merchandise. They reflect the special magic of Christmas that we loved as kids. They take us back to a simpler time when a toy train or phone line to Santa was worth a special trip to the store all on its own. Retailers have to realize that the experience of shopping is paramount. If you can make my day at the store a little more magical, I am more inclined to visit in person than to shop online. It needs to be about more than just selling stuff – it needs to be a memorable experience that I want to repeat, bring friends and family, and making an outing out of it. 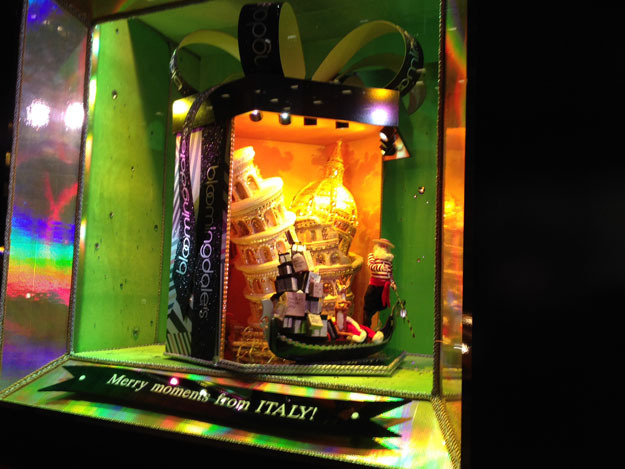 Canadian retailers would do well to consider next year’s effort, and consider the interest and crowds they could attract with the right window displays.